As one of America’s greatest and most innovative architects, it’s no surprise that Acme Studios would dedicate a pen or two to Frank Lloyd Wright. 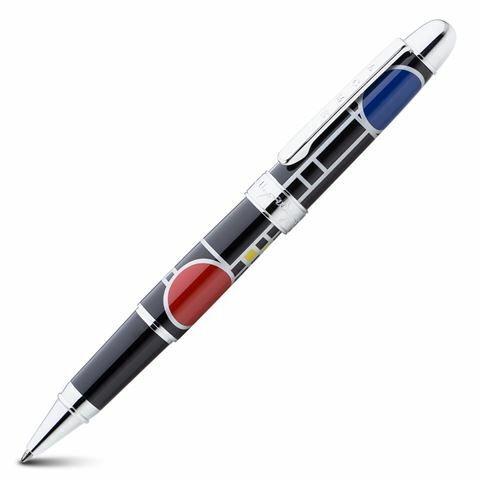 He designed New York City’s Guggenheim Museum, along with over 1,000 further structures, one of which inspired the Playhouse Rollerball Pen. Its silver line work with red, yellow and blue accents recalls the windows in a child’s playhouse designed by Wright in Chicago, which in turn were inspired by confetti and the famous Fourth of July Parade. Beautifully presented and crafted to the highest specifications, the Playhouse Rollerball Pen also features Wright’s signature upon the cap ring.